Sermon preached on 1 Timothy 1:20 by Rev. 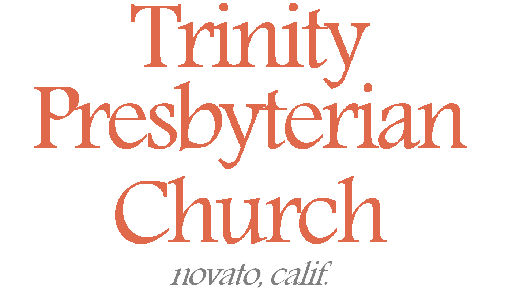 W. Reid Hankins during the Morning Worship Service at Trinity Presbyterian Church (OPC) on 9/11/2016 in Novato, CA. Today we will be talking about excommunication. Excommunication is the removal of someone from the membership in the church and its benefits. This can be a hard topic to talk about, especially if it is being talked about in the context of someone actually being excommunicated. I’m thankful to report that there are no excommunications scheduled for today! I’m also thankful that I’ve only personally had to twice formally excommunicate someone since I’ve been at this church, though that is still two times more than I would like to do. That being said, the number becomes higher if you add up all the people that we’ve had to erase from our membership rolls because they have just stopped going to church and don’t want to be in the church anymore. When someone removes their church membership like that, they are essentially excommunicating themselves. And so today’s passage will speak to both of these sorts of circumstances. And so it is a sad thing when someone is excommunicated from the church, but as we see in this passage, we hope and pray that God will use this to ultimately awaken them to repentance, that they could be restored to Christ and his church. So then, let’s begin today’s message by talking about Hymenaeus and Alexander and their sin. Hymenaeus and Alexander are the people mentioned in this passage who were excommunicated, described here in verse 20 as being delivered over to Satan. So let’s think first about what went wrong for Hymenaeus and Alexander. What sin did they commit that resulted in them being expelled from the church? Well, it all started with what we read about in verse 19. It is clear that Hymenaeus and Alexander are examples of two people that fell into the problem described in verse 19. Verse 19 says that some people have rejected a good conscience and by doing that have shipwrecked their faith. In other words, by denying what they knew in their heart that God’s word said and turning to some other doctrine and some other contradictory way of living, they brought disaster on their faith. And so by departing from the truth, they have allowed their faith to be tossed to and fro (Ephesians 4:14) and ultimately shipwrecked. That’s not good. That’s the core of the problem. From there, we see more of their troubles. In verse 20 it is clear they were blaspheming. We are not told exactly what they were saying, but that certainly would reflect someone having rejected a good conscience. Someone who tries to hold onto a good conscience is not going to go around blaspheming without remorse. I would also add that in context, Hymenaeus and Alexander are clearly some of these false teachers that Paul had mentioned back in verses 3 and 7. That’s probably what their blasphemy entailed. They were speaking against the biblical Jesus and the biblical gospel by teaching false doctrines and perverting the law of God. As a further example of this false teaching, 2 Timothy 2:18 reports that at least Hymenaeus was teaching the false doctrine that the resurrection had already taken place. And so the picture we have of Hymenaeus and Alexander is that they went against God’s Word and denied the faith. We would call that apostasy. But not only that, they then went around in the church trying to get others to join them in their apostasy. As such they were false teachers and heretics and they were put out of the church. They were excommunicated. They were cut off from God’s people and from Jesus Christ. I wanted us to see this in this first point because it tells us something about when we would excommunicate someone today. In other words, here’s some application. We don’t excommunicate someone simply because they are a sinner. Otherwise, every one of us would have to be excommunicated. First off, our OPC Book of Church order rightly says that we are only going to confront someone formally for church discipline when either their practice seriously disturbs the peace, purity, or unity of the church, or when their doctrine would constitute a denial of a credible profession of faith. That was a mouthful, but let me summarize it like: We only pursue church discipline against someone if there is a serious matter in their doctrine or practice. We all struggle with sins in terms of our practice, and we all have different degrees of imperfections in our doctrine. But if our practice is causing us or the church serious harm, or if our doctrine clearly is no longer Christian, then we have to pursue church discipline. But even then, we would only excommunicate someone who persistently refuses to repent of their sin. It’s like what we find in Matthew 18 when it describes what to do when a brother sins against you. It describes several rounds of going to the brother with more and more witnesses until you finally bring the matter to the church. But it says that if they still won’t listen to the church, that then you treat them like a tax collector and a sinner. In other words, only then will you actually excommunicate them. So with someone like Hymenaeus and Alexander you are going to confront them first with their major failures in doctrine and practice. You are going to call them to repent. Only if they persist in their unbelief and their defiant behavior would you excommunicate them. The same is true in the church today. It’s only when they won’t listen to the church calling them to repentance and back to God’s Word, that someone would get excommunicated. If you have ever read the OPC Book of Church Order’s process for ultimately excommunicating someone, you will see it is a very patient process based on these biblical principles. So that’s a little bit about the sin of Hymenaeus and Alexander and how it led to their excommunication. I would like to consider next how their excommunication is described as them being handed over to Satan. That’s a colorful way to describe excommunication, not to mention a scary way to describe it. And yet it’s language that we see here and also in 1 Corinthians 5:5 to describe excommunication. And so I think it would be important for us to understand what all this entails. I won’t be able to be exhaustive on this point, but I will mention a number of aspects of what it means to be delivered to Satan in being excommunicated. I’ll organize my answer in two main ways. First, I’ll talk about the external change of standing that happens when someone is delivered to Satan. Second, I’ll talk about the loss of benefits that happens. First then, let’s consider the change of standing. Understand that when someone becomes a member in the church, the church is exercising the keys of the kingdom that are mentioned in Matthew 16:19 when they receive them into the church. To be brought into the church then is to put the name of God on that person, and to declare that their citizenship is in heaven. We refer to that person then as a child of God as well. But when we start talking about excommunication in terms of delivering them to Satan, we think of how all that is being reversed. And so to be delivered to Satan means then that their standing is no longer as belonging to God, but as belonging to Satan. They are being removed from the refuge of Christ and his church. They are being put out back into the world. And remember that in one sense, Satan is the prince and god of this world, according to Ephesians 2:2 and 2 Corinthians 4:4. To be delivered to Satan emphasizes this reality. When such a person is put back into the world, they have Satan in some sense in charge of them. They are being sent back into Sodom and Gomorrah to be amidst the evil ones, where Satan is allowed for a time to rule in some sense. In a similar way, remember that in John 8:44, Jesus spoke of some people who thought God was their father, but he said actually they had the Devil as their father. That is also the standing for the person who has been delivered to Satan. They should not presume God as their father. They should assume that as long as they remain cut off from God and his people that the Devil is their father. That should make that person shudder. Another way to think of their change of standing is to think in forensic terms. Normally, we talk about Christians being forensically justified and adopted. But when someone is cast away from the church and delivered to Satan, we would no longer consider them justified and adopted. They should no longer consider themself justified or adopted. They should consider themself as not having their sin atoned for. They should consider themself as not having God’s wrath propitiated for them. They should consider themself not redeemed by the blood the lamb. They should consider themself instead an object of God’s wrath and under his condemnation, just like their father the devil. They have become estranged from Christ and fallen from grace, Galatians 5:4. Actually they should not only fear judgment but a worse judgment. For such a person is the one described in Hebrews 10:29 as being under worse condemnation because they had so intimately known the holy things of God by being visibly in his church, and yet they have rejected all that. Such people are under worse condemnation according to the Bible. Now let me offer a point of clarification here. We know from our reformed understanding of the Scripture, that no one actually loses their salvation. If you’ve been truly justified and adopted, you can’t and won’t ever actually lose that. But we tend to talk about these things of substance in connection with someone’s external standing in the church. And so when someone is received into the church, we declare their justification and adoption; but if they are removed from the church we would no longer consider them justified and adopted. If they stay outside the church, we then realize that they must never have been truly justified. If they do repent and are restored in the church, then it’s possible they were actually justified the whole time and just needed this godly discipline to help them grow. Hopefully that clarification helps, but if this point is confusing for anyone, let me know afterwards, and I’ll explain it further for you. So that’s a little bit about the external change of standing that happens when someone is handed over to Satan. Let’s talk now about the loss of benefits that happens to someone who is handed over to Satan. I could mention many, but I’ll mention five main ones. First, such a person would lose the benefits of Christian fellowship. This would include not being able to partake of the Lord’s Supper for starters. It would mean that even if that person did show up for the worship service, that the benedictions are not actually being bestowed on them. It means that the congregational prayers are not really for this person either, except for when we pray for the conversion of the lost. Such a person would certainly not have the fellowship of the saints that includes the encouragement, support, sympathy, etc, that Christians have with each other. The church should make sure they don’t act like that person is still a Christian or treat them like a brother or sister any longer. A second lost benefit is that the person delivered to Satan should not expect his prayers to be answered. You know, when we look in Scripture, the people of God are repeatedly encouraged that God hears their prayers. But actually the opposite is said for those who are not God’s people. In John 9:31, it says how God does not listen to sinners. Proverbs 15:29 says, “The LORD is far from the wicked, but he hears the prayer of the righteous.” I had a conversation once with an excommunicated person and they told me that they were praying for physical healing from God. I had to admonish the person right then that they had been delivered to Satan, and that, if anything, they should expect more health problems in their current state, not less. They certainly shouldn’t expect God to be answering such prayers. Instead the prayer they should be praying is a prayer of repentance and seeking forgiveness from God and that they could be restored in Christ’s kingdom. A third lost benefit is a lack of peace. Philippians 4:6-7 speaks of that peace that transcends all understanding when we bring our anxieties before God in prayer. It describes this peace as the peace of God. And yet a person delivered to Satan does not have the peace of God. They should be left unsettled in their sin and unbelief and its consequences. They should feel in emotional turmoil and at enmity with God until they repent and return to the Lord. A fourth lost benefit is to not expect the good and perfect gifts that God gives to his people as their father. I have in mind here James 1:17-18 that speaks in these terms. It speaks of God’s people knowing his fatherly gifts. As those who are God’s children, we know that he will not withhold any good thing that he believes we need in this life. Those who belong to Satan are given no such assurances. A fifth lost benefit is that they should not expect Romans 8:28 to still be in effect; for them, that is. Romans 8:28 is that verse which tells us that all things work together for good to those who love God, to those who are the called according to His purpose. And so Romans 8:28 doesn’t say that is a promise that is true for all people. It’s only true for the people of God. If you are delivered to Satan, you should have no assurance that Romans 8:28 is still in effect for you. I hope you see how I’m approaching this. I’m considering various verses that speak of the benefits of being in Christ. I’m then helping us to see how when someone has been delivered to Satan, they should not expect to know any of those benefits. Think about it; such a person is not in Christ, but in Satan! Now to clarify, God might still give some of these things from time to time even to such people who are not in his church. We know that God in his common grace causes the rain to fall and the sun to shine even on the wicked. But the point is that the many guarantees of blessings to Christians are not something that the excommunicated person should hope on as long as they are outside of the church. If they want to be able to hope on these things, they should repent and seek to be restored in their membership in Christ’s church. And that leads us then to our third and final point for today. Our third point is to see how this delivering of someone to Satan is for the purpose of restoration. We could speak of several goals in church discipline, but today’s passage particularly speaks of this goal of restoration. This is the end of verse 20. It says there that the goal is that Hymenaeus and Alexander might learn not to blaspheme. In other words, there is a goal here that the excommunicated people would learn their lesson and turn from their sin and error, and be restored among God’s people. In other words, excommunication doesn’t have to be permanent for someone. In fact, we all hope and pray that it is not. The word in verse 20 for “learn” comes from the Greek word paideia. That’s a word you might have heard before if you know anything about the classical education model. The word paideia has become a bit of a buzz word about the well-rounded rearing and instruction of children. And that’s basically how this word is being used here. This word is not about a punitive thing. It’s a word that speaks especially of how a parent would rear a child, even with the use of discipline. It’s the idea of how a parent would use discipline in order to instruct and correct a child. Hopefully you can connect the dots here. When you are handed over to Satan like we’ve described here today, it is supposed to be uncomfortable. It should leave you wanting to get away from Satan and back to the Lord. One commentator (Towner) used the shipwreck idea to describe it like this. He said, it’s like being in the sea to know how good it is to be on board the ship. And so this is what Paul hopes will happen to Hymenaeus and Alexander. He hopes that they’ll learn their lesson, and come back to Christ and his church. And that’s what we must want for any that are excommunicated from the church. It is terribly sad when someone is excommunicated. We’ve had to see that in our church. But it is also so very, very, wonderful, when we see someone come back into the church. We’ve had the great joy to see that as well. That must be one of the main goals should we excommunicate someone from the church. In closing brothers and sisters, I hope this lesson about what it means to be excommunicated, has caused you to appreciate all that you have in Christ and in his church. We are God’s people, redeemed by the blood of the lamb, justified, adopted, being sanctified, and look forward to glory. All this, and more, we have known by the free gift of his grace through faith in Jesus Christ. As for final applications. First, though I hope you never find yourself excommunicated, but should you do, I hope you will recall back to this message. I hope you would remember what it means and repent and return and be restored in Christ’s grace. That you would see how awful is to be without Christ. A second application – may you know how to better interact with those who have been excommunicated, pleading with them to repent, return, and be saved. In all of this, let us thank our God that as his children he does rear us his people. Let’s see that as the benefit which it is. Amen.